Moving services, storage services ads in Sydney. Thank you for visiting our free advertising website Moving services, storage services, Sydney section. We provide high response free classifieds and free advertisement. Use our online free Moving services, storage services classifieds placement system to find, list, offer Moving services, storage services online! People are often required to relocate for either work-related or business or study purposes. Should you need to shift your office or residence for one reason or the other, then get in touch with interstate furniture removalist company in Sydney. It takes pride in its highly skilled professionals that deliver quality removal services. Have you been planning to change your residence? Do you want to shift your office to a new place? With the expert interstate furniture removalist at your service, you have nothing to feel anxious about. 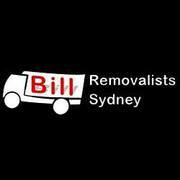 They provide removal services in Sydney, so all you have to do is to mention your address to get served by these experts. We are the most reliable and experienced business relocation service in Sydney.The experienced Business Removalists Sydney at Zoom Business Relocation are here to control and manage the packing up and moving of all your furniture, fittings and possessions, allowing you to keep your focus on your business. Website: https://www.zoomremovals.com.au/ Address: Suite 3, 423 King Georges Road Beverly Hills NSW 2209 Phone: 1300 788 165 Bringing the best quality Sydney removals experience at the most reasonable rates to our customers has always been our mission at ZOOM Removals. Since 2009 we have challenged the moving industry with our quality service, unmatched affordability and unique relocation solutions. With many years of long-distance moving experience, we understand the stress and fears that clients have when it comes to interstate move from Sydney to Melbourne. You have to prepare for moving your personal property, your family, and the pets miles away to their new destination. Sydney Domain Furniture Removals is the trusted moving company in Sydney, as it has been moving their clients interstate for years. Are you planning for your next move from Sydney to Brisbane? Then make sure to hire a professional interstate moving company like Sydney Domain Furniture Removals. After all, moving is quite a demanding and exhaustive procedure with the added stress of moving to an entirely different place. You do not only have to pack up your belongings, but also have to find a new home along with an overwhelming list of obligations. 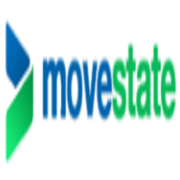 MoveState are experts in medium to large interstate removals. We can handle moves, insurance, storage, car & pet transport, boxes and pre-packaging! Everything you need for a stress free interstate move. Contact us today to arrange your interstate move properly! Website: https://movestate.com.au/ Phone: 04 1914 8889 Email: support@movestate. With thousands of homes moved interstate, our trained removalists with their years of professional experience will move your home successfully between Sydney and Brisbane. In addition to our professionalism, we offer great prices too. Our services are quite cost-effective, and our charges depend on customers’ specific move requirements. If you are searching for the best interstate furniture removalist from Sydney to Brisbane to handle the transportation needs of your belongings, there is no better choice than Sydney domain furniture removals. For more than 15 years, our movers have been offering their interstate services, earning the reputation as the most trustworthy interstate furniture removalist around. Are you planning to hire the services of reliable Sydney furniture removalists that you can trust, and is cost-effective? Then you have to contact Sydney Domain Furniture Removals, the one-stop solution for all your moving needs. Our charge depends on 30 minute-increment, with no hidden cost involved. Sydney Domain Furniture Removals is regarded as the best removalist in Sydney due to the amazing relocation services offered. With Sydney Domain Furniture Removals by your side, the movement is bound to become easier and more efficient. Consisting of a team of qualified professionals who have years of experience in the field, you can rely on them to complete all the tasks functionally. Are you relocating to a new house and want to make your move easier and more effective? Then look further than Sydney Domain Furniture Removals. Regarded as a reputed furniture removalist Sydney based with considerable experience in the field, the company has been serving a wide base of clients to pack and move furniture. Self-storage of household or office items. Pallet storage is available and a forklift is on site at the Manly Vale warehouse. Storage is safe and secure. Further to that, you can store your items at a very low cost. If you are looking for self storage in Northern Beaches, please contact us on 02 99079099 or manlyvale@securityselfstorage. Australia free ads for Moving services, storage services, Sydney, Moving services, storage services free ads Sydney, Moving services, storage services for sale Sydney, Moving services, storage services to buy in Sydney. Find on this page free classifieds for Moving services, storage services in Sydney. This listing includes classifieds for sale and to buy in Sydney. FREEADSAustralia Sydney offers you a platform to post free advertisements or classifieds for Moving services, storage services in Sydney. FREEADSAustralia helps you search, find buy, sell, rent or hire in various categories like apartments, goods for sale, local services, cars , jobs and many more in Sydney. If you posted an advertisement in category Moving services, storage services of FREEADSAustralia Sydney before please use Edit my ads button to change or cancel your ad. Moving services, storage services Sydney ads Sydney, Moving services, storage services classifieds Sydney, Moving services, storage services free ads Sydney, ads for sale Sydney, ads to buy Sydney, FREEADSAustralia. Find here ads for sale, to buy and rent in Sydney. Goods for sale in Sydney, vehicles for sale in Sydney, Sydney real estate for sale, Sydney property for sale, property for rent in Sydney, business ads in Sydney, Sydney business classifieds, services in Sydney, Sydney services ads, jobs in Sydney, pets for sale in Sydney, Sydney dating, Sydney cars for sale.